Ladies and Gentlemen, Guys and Dolls! 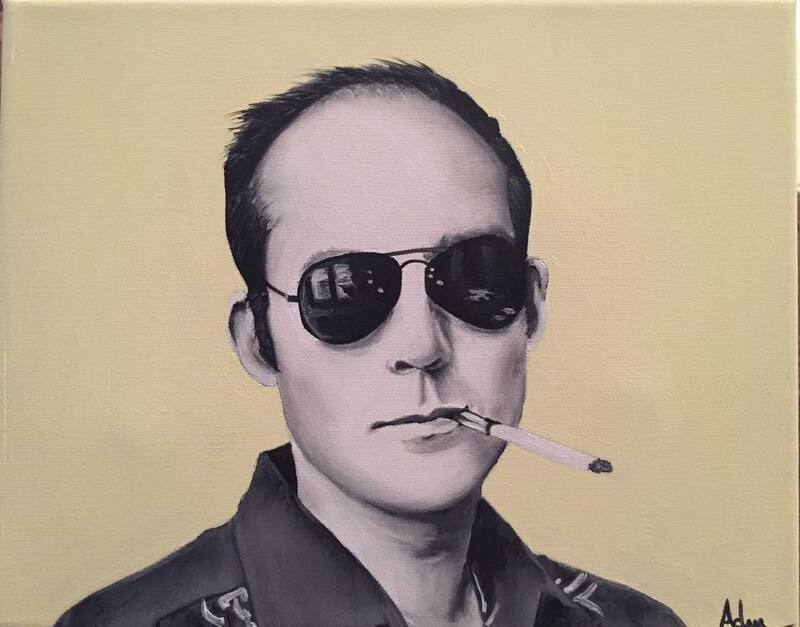 This week the voices you know and love are joined once again by Adam Crutchfield who stops by to bring Tony his hand painted Hunter S. Thompson portrait. 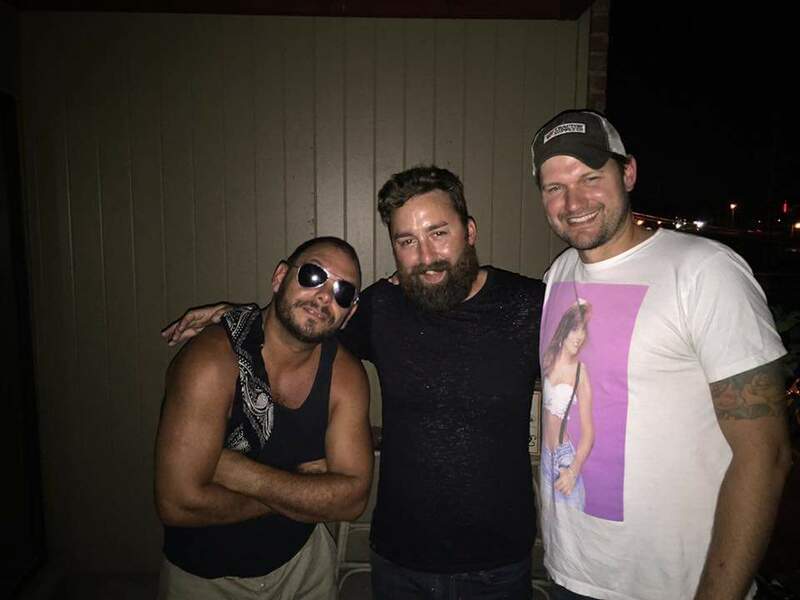 Go back and listen to Episode 36 with Adam to hear his full story. 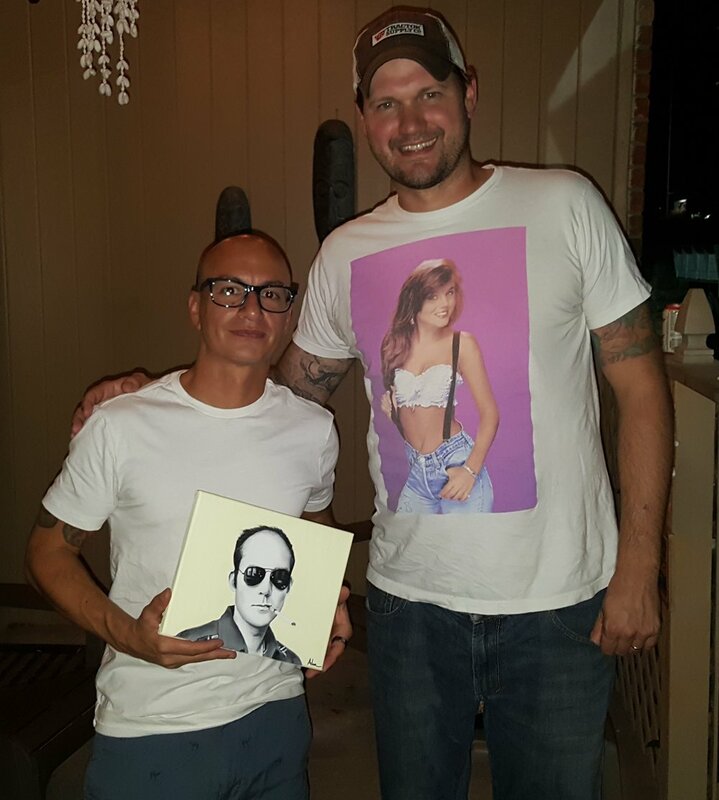 His work is simply amazing and he's a great guy, to boot. The guys start out telling some drinking stories before verbally ambling into more reggae talk, Tony doesn't look his age, and modern dating. Spencer tells a funny miscommunication story and Tony describes how his life is like a bad movie. There is also a separate short interview Tony did with Nashville Burlesque. All that plus, Chris gets Spencer to walk off the show. Salute!